To be Most Wanted, you'll need to outrun the cops, outdrive your friends, and outsmart your rivals. With a relentless police force gunning to take you down, you'll need to make split second decisions. Use the open world to your advantage to find hiding spots, hit jumps and earn new vehicles to keep you one step ahead. 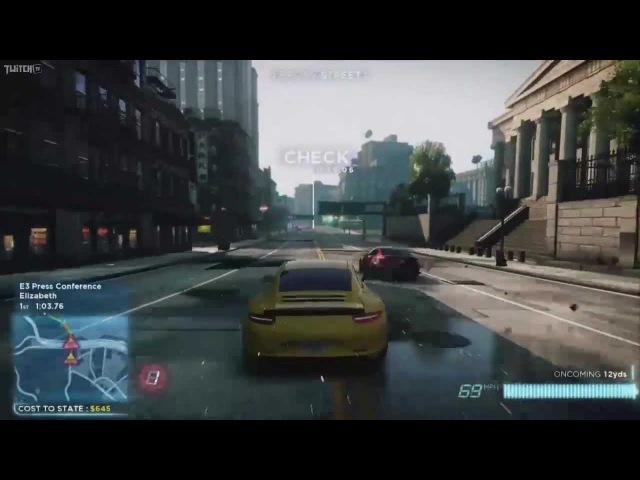 The gameplay is almost similar to that of the old edition .The gamer is given a car and is allowed to race with the blacklist players.Cop may interfere during the game.The gamer can also play as a cop in this game.The game will be similar to BURNOUT PARADISE .The driving model of the game is described as deep physical and fun and will not be same as arcade in burnout paradise.All the cars are open from the start of the game itself.